If clients/server don't detect there is Internet connection (like internet gets disconnected), some games like nba 2k12/2k13, battlefield 2, teamfortress loads very slow what usually takes 1-2 min loading will now take 5-15 minutes depending on games. You need to enable iSCSI service in Windows 7. Please refer to the following steps. 1. Please boot the client with super client. 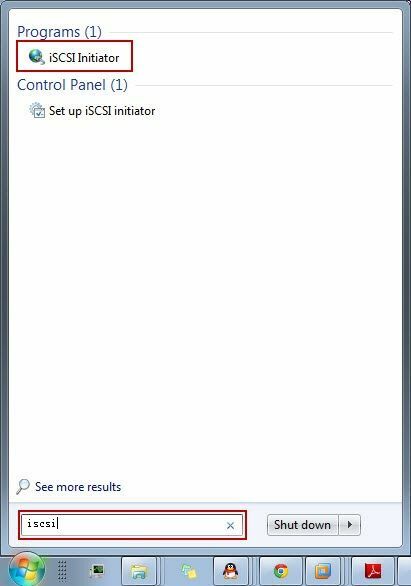 2. type "iscsi" in the Windows "Start" menu, choose "iSCSI Initiator" and click it (Figure 1). 3. Click "Yes" button (Figure 2). 4. Shutdown the client PC and disable Super Client. Now the client will load that games fast even without Internet. -Thanks for Mark Chua reported this.